I also made the decision to try the turbo cycle (you can refer to this post for information on the different plans) I had been toying with the idea after the first week of the diet when I decided that I enjoyed my low carb day over my high carb day. This plan will have one high carb day to two low carb days. So I will only eat high carb twice a week rather than 3 times. Sounds good to me! 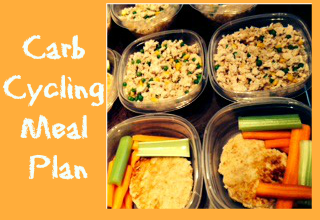 So here is my first TURBO CYCLE meal plan! Lunch (meal 3) - This meal depends on when I get to the grocery store! Dinner (meal 5) - Thin chicken breast stuffed with Jalapeno cheese and jalapenos. Served with veggies on the side. Meal 2 - I am having some friends over for brunch and a Jamberry party! Dinner (meal 5) - Freezer meal from the freezer downstairs, something delicious! Mind if I ask? Do you find it hard to keep up with the highs and lows of the day and the food combinations? I love that you're sharing this! I haven't noticed a huge difference energy wise, but will be curious once I start exercising how that will be. As for hunger, I am hungrier on my carb days. On my low carb days I am pretty satisfied, but my high carb days, I feel like I could eat more! I will keep you posted! Do you buy just egg whites for your omelets? Yes I do! Way easier. I use 3/4 cup which equals 4 egg whites! Thanks for stopping by! This was really interesting to read. Lots of great ideas for me and my diet as well. Thanks for sharing! Thanks Courtney, glad you liked it!